Don't settle for anything less than perfection. There are many garages out there that recently claim to be Bentley and Rolls-Royce "Specialists". Cowdray Car Centre was established over 25 years ago and have been dealing with prestigious motor vehicles including Bentley and Rolls-Royce since. Modern vehicles can be extremely complicated and your Bentley is no exception. They contain technology that still doesn't exist on many modern day vehicles and the ability to service and maintain them can only be learned through experience. Even simple tasks such as servicing can become a minefield without following the original Bentley workshop manual which we have invested in. *Please call for prices of older Bentley and Rolls-Royce motor vehicles. 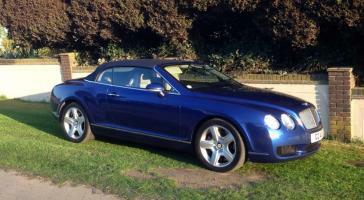 ** All servicing is carried out to Bentley Service Schedule. *** Genuine parts used, alternative parts can be supplied at request. 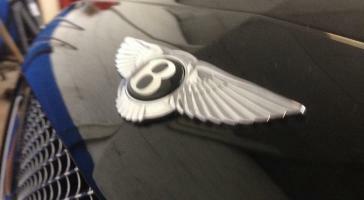 We also service and maintain older Bentley and Rolls-Royce models. We have and extensive knowledge and experience on how to service, maintain and diagnose all Bentley and Rolls-Royce models. Maintaining your Bentley shouldn't be an expensive experience. Obviously due to the quality of the parts you would expect to pay more than your average motor vehicle but that doesn't mean your bill should be longer than your telephone number! Cowdray Car Centre is a family run business so there are no shareholders pushing us to charge crippling labour bills.